What are the provider characteristics that are associated with readiness? Do veterans have access to timely care? Do veterans have access to culturally competent care? Do veterans have access to quality care? What is the state of overall provider readiness for this population? Providers working in the private sector are an increasingly important part of the overall health workforce addressing veterans' health needs. However, very little is known about whether private health care providers are equipped to offer timely access to high-quality care that addresses the unique needs of veterans. Without an understanding of private-sector providers' capacity to treat veterans, training programs to help community providers serve veterans more efficiently might not be targeted to the areas or topics of greatest need. This report addressed several specific research areas: assessing the demographics, training, and practice characteristics of health care providers in New York; how familiar those providers are with aspects of military and veteran culture; and provider experience with veterans as patients and with the Veterans Health Administration. A six-point definition was used to determine provider readiness: Providers must be accepting new patients, they must be prepared to treat and manage conditions common among the veteran population, they should be using clinical practice guidelines for high-quality care, they should be screening for problems that are common among veterans, they should provide accommodations for those with disabilities or mental health care needs, they should have a basic understanding of military and veteran culture, and they should routinely ask if patients are veterans, service members, or military family members. The authors determined that while timeliness was not a problem, the number of prepared providers dropped precipitously when factoring in such qualities as familiarity with military culture and screenings for military affiliation or for conditions common among veterans. 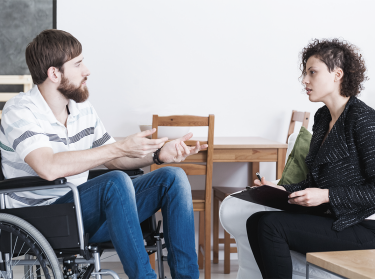 The researchers specifically aimed to assess the capacity of New York health care providers to deliver high-quality care to veterans with service-connected health problems. While it was not feasible to conduct an in-depth assessment of specific health care encounters for veterans, a survey was used to examine various parameters of New York providers' typical practice behaviors that might yield insight into the quality of care they would provide to veterans. Researchers found that almost all of the New York providers reported accepting new patients and most (61 percent) reported that new patients would be able to get a visit within two weeks, with almost half (45 percent) indicating that most patients could get a same-day appointment. Only 20 percent of New York–licensed health care professionals reported routinely screening their patients for a military or veteran affiliation, with significant differences across provider types and by region. As a result, many providers are missing an opportunity to begin a conversation about how having a military history and background might have contributed to their veteran patients' current medical condition. Providers are also missing an opportunity to understand how military culture could shape veterans' preferences and attitudes about treatment. To understand whether veterans would be assessed to detect service-connected conditions in non-VA settings, the survey examined how often community-based providers screen for specific health concerns that are common among veterans (e.g., sleep-related problems, pain-related concerns, physical impairments). Despite a relatively low threshold of screening for at least half of these common conditions, only 43 percent of providers routinely conducted such screenings. The survey determined that while 92 percent of New York health care providers were accepting new patients, only 2.3 percent met all criteria for effectively serving the veteran population. Increase familiarity with and preparedness related to military culture and service-connected health conditions. Improve provider screening practices regarding patients' backgrounds, current clinical concerns, and any relevant occupational or environmental exposures. Improve understanding about and engagement with the Veterans Health Administration and available resources for veterans. Implement a quality monitoring and management system for community care. This study was sponsored by the New York State Health Foundation and conducted within the Health Services Delivery Systems program of RAND Health. Tanielian, Terri, Carrie M. Farmer, Rachel M. Burns, Erin L. Duffy, and Claude Messan Setodji, Ready or Not? Assessing the Capacity of New York State Health Care Providers to Meet the Needs of Veterans. Santa Monica, CA: RAND Corporation, 2018. https://www.rand.org/pubs/research_reports/RR2298.html. Also available in print form.